When it comes to spoiling their three Mutt-i-grees®, Carmen and John Grossman are in a league of their own. Nothing delights them more than doting on their “babies,” whether it’s providing specially prepared meals, carefully vetted dog walkers, or a fenced-in yard with plenty of room to run and play. They can’t imagine life without the company of dogs. And their concern doesn’t stop there. Indeed, they’re dedicated to doing whatever they can to help less fortunate animals experience the care and love their own pets enjoy — which is why they generously support our no-kill mission to rescue, nurture, and adopt as many Mutt-i-grees as possible. The Grossmans speak from experience — and from the heart — when they say that homeless shelter dogs make wonderful pets, regardless of tough backstories and rough starts. Their three pups prove the point. Clearly, the Grossmans have a deep interest in saving lives, so it comes as no surprise that they’re happy to support our lifesaving goals, including the goal of a more humane future. “We donate to organizations that meet an urgent need and believe as we do, that animals are to be loved and cherished. And we also believe that the wisdom of caring for animals involves early stage education, so we’re thrilled to know that Animal League America spends significant time in schools,” says Carmen, referring to our Mutt-i-grees® Curriculum, now implemented in more 4,000 schools, libraries, and afterschool programs across the country. As longtime donors and supporters, the Grossmans are committed to always doing more. “Animal League America’s mission, vision, and values are important to us. We support those ideals and will continue to do so,” says Carmen. 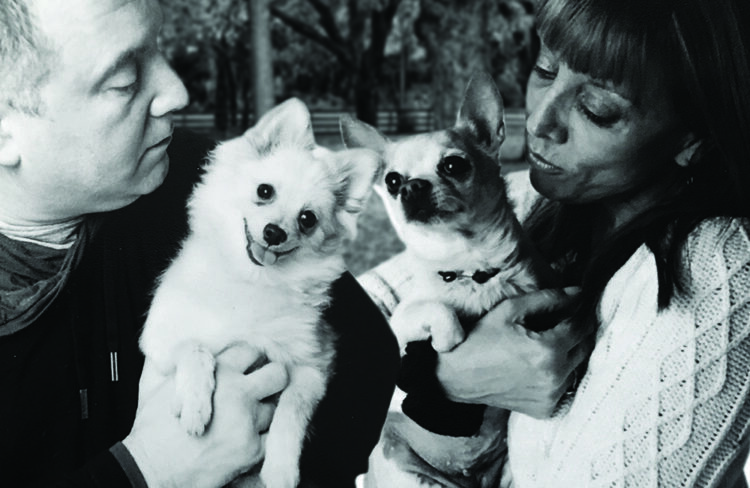 All of us — especially our Mutt-i-grees — are fortunate and grateful to count John and Carmen Grossman as members of the Animal League America family. To learn more about how you can support our lifesaving mission with a gift, please contact Jill Burkhardt, at [email protected], or call 1.516.883.7900, ext 833. Thank you.